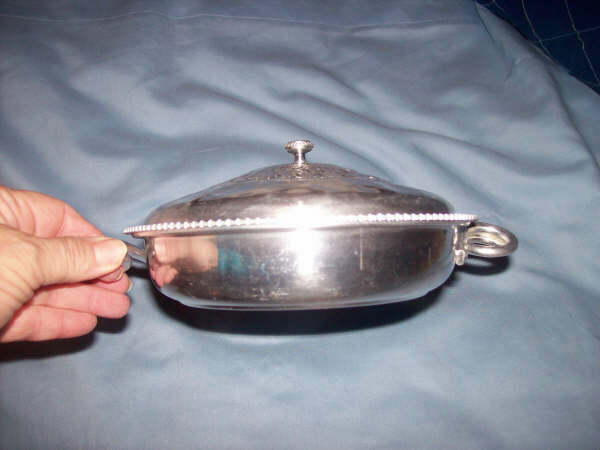 Here is a lovely little lided aluminum bowl. It is small, approx. 7" across(9 5/8" with handles) and 1 1/2" deep(3 1/2" from bottom of bowl to top of knob). It has a pretty embossed floral design around the knob on the lid. 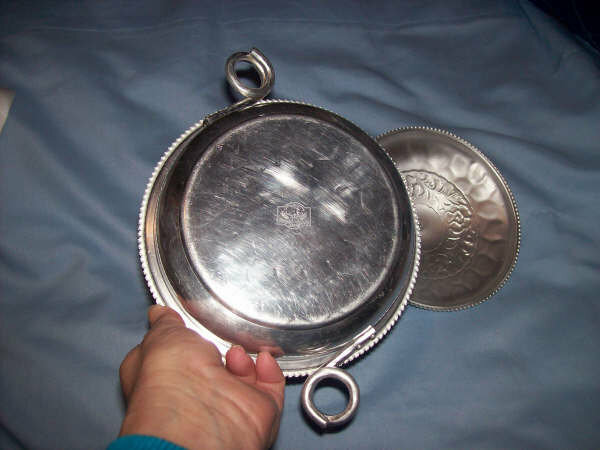 It has a pie crust edge around the bowl and lid. The handles are grapevines coiled. The mark on the bottom is for Royal Sealy Japan. The shipping fees quoted are for priority/No insurance in USA only. ANy inquiries from another country will be handled on an individual basis. Thank you for looking! 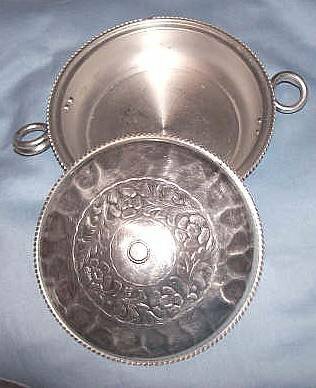 Items Similar To "Kitchenware/Small Round Lided Aluminum Bowl/Royal Sealy Japan"